This article contains affiliate links at no cost to you. The small commissions made from these affiliate sales help pay the expense of running this site so I can make cool content for you. What to bring camping? Well, there are two kinds of campers in the world. The ones who haul truckloads of stuff and build a small village at campsites, and the ones who throw everything on their back, hike through miles of terrain, and primitively camp in the wilderness. No matter what kind of camper you’re shopping for, there are some things they can’t camp without. And even if they’re the primitive camping type, they’re bound to find themselves at a campsite with friends and family at some point. So, if you really want to get a cheeky grin from your favorite outdoor adventurer, then find them a special gift from this guide. I spent hours, days even, sourcing my favorite camping gear and working with a few partners to test out some pretty awesome stuff. I’ve added affiliate links in here at no cost to you, but the small commissions I make from the sales help fund my expenses so I can keep making cool content for you. 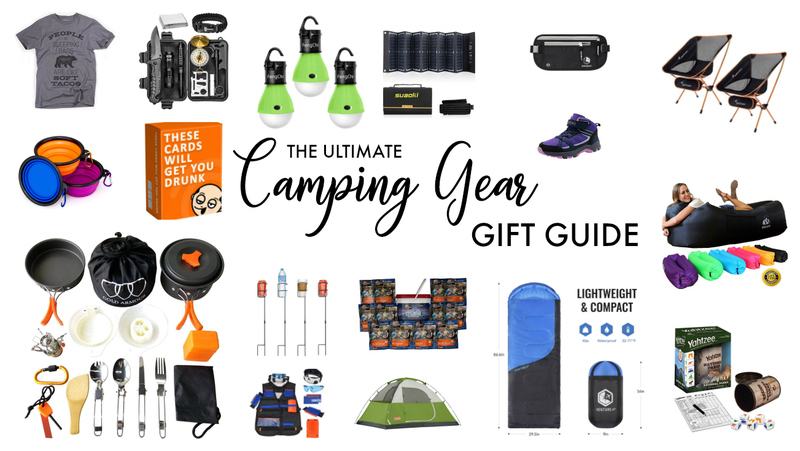 If you want to know what to bring camping, or you’re shopping for your favorite camping aficionados, this list will certainly get you started. This Montem Snuggler Puffy is great for sitting by the fire or keeping extra warm in the tent. It’s super cozy and squishy and comes with a storage sack. The Wonderbag lives up to its name, it will make you wonder how in the world it slow cooks with no electricity! Want to know more? Its heat-retention design means that it requires no battery, plug or electricity, so it saves the energy in your home and allows your food to cook safely on Shabbos. Simply get your pot to a boiling point and then set it in the bag and close. It slow cooks for hours! Coollid coffee cup lid features a unique cooling reservoir that holds the hot beverage in suspension and cools it down to the perfect drinking temperature, one sip at the time. This solar powered smart charger goes wherever you go. The Helios Smart can charge up your smartphone after just 90 minutes soaking up the sun’s rays. It comes with two USB outputs and one USB input, it can take a charge from your laptop, desktop, or wall outlet. Get Helios Smart and get off the grid. All this lightweight booster needs to keep your devices charged is a quick suntan. Both of my dogs have the LED Collar and the LED leash and we absolutely LOVE them! We used to use glow necklaces but that was not the greatest. These are rechargeable and very durable. Plus they have an SOS signal on them as well. We have the blue and the pink ones and I couldn’t rave about them more. They are awesome! Learn more about these products here. UNDER $50 (FOR SET). Now you know, no matter what kind of camper you or your loved ones are, exactly what to bring camping so you can be comfortable, safe, and have reliable conveniences and fun. Happy trails!